SSL Channel. Provides the top of the line EQ and Compression for mastering. We have a 64 Channel API console that we use for all of our online mastering submissions. Each track gets run through this, making it sound warm and punchy. Great for stem mastering or bussing down tracks. Yes, we use tape. Music Mastering needs to be run through tape. The classic unit adds harmonic frequencies that enhance the low end of each track that we master. Classic compression of the 1176 is a go to with most tracks we master. We are proud owners of these Kush Audio dynamic duo! Ideal for the best mastering service. Another one of our SSL compressors for stereo mastering. Another EQ of ours. Such legendary equipment! Mercury Mastering is the #1 industry standard mastering studio for achieving the big label sound required for all audio recordings.The combination of our Grammy award-winning engineers, our acoustically treated rooms, and our legendary equipment (both analog and digital) proves that we are the #1 leader in audio mastering. One of the studios' expert mastering engineers will master your material, using legendary analog and digital equipment. We will take your final audio recording and apply professional mastering techniques using our highly experienced Grammy Award-Winning engineers and high-end mastering gear (EQ, Compression, Stereo Imaging, De-Esseing, and Limiters etc...) to deliver you a master with clarity, warm low-end punch, stereo depth, detail… and of course an optimum LOUDNESS level that meets industry standards. Every album in your collection has been mastered by a professional mastering engineer in an acoustically treated room. If you want to sound professional and compete with the loudness war in the music industry, it is absolutely critical that you master your music. It's the most important aspect that makes your sound match with the rest of the music industry. Just add $25 per song to your order. Just add $50 per song to your order. Need your songs mixed first? We'd be happy to help! Just scroll to the bottom of the page and contact us to tell us about your project. Stem Mastering is a slightly more versatile option of normal mastering. We use a few "stems" (combined tracks such as drums, guitars, keyboards etc...) of your track to achieve the final master. You can send 3-5 stereo channels that we can tweak individually to make the absolute best sounding master. This is the best option for artists, engineers, and producers that have gotten their mix as far as they can take it but just need the extra bump to make it perfect. You can use any stems you want. As long as you upload at least 3 and no more than 5. It truly is the best way for us to have complete control over your song without affecting the mix you love so much. Who will master my material? 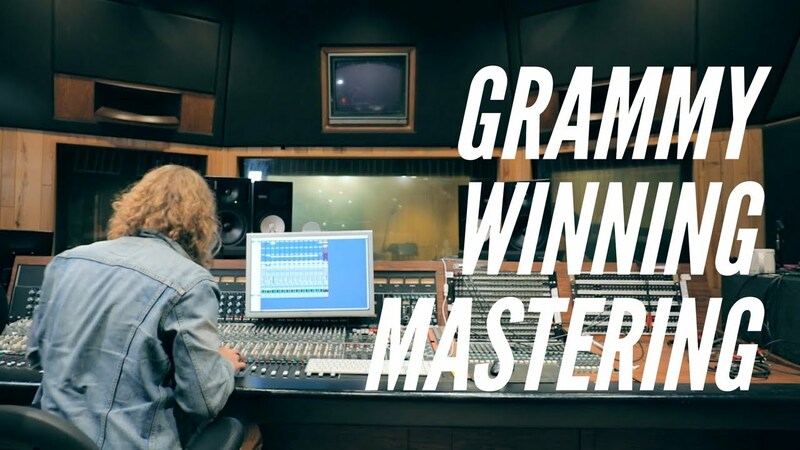 A highly skilled Mastering Engineer will master your album. Each of us have worked with Grammy-Award winning artists and have achieved #1 status within the mastering industry. We always do a sample for free. If you like what you hear, you can chose to move forward with the whole project by paying through our safe and secure website. We accept all major credit cards. After payment is made, you will be redirected to a page where you can upload your files through our website or mail. Once the music is mastered, high quality WAV files will be uploaded to your account on this website. If you are not happy with the mastering results, we will make FREE revisions until you are happy. There is no limit to this. We are so confident in our work that we ensure this will not happen. Yes. We encourage our customers to send out their song to many different mastering engineers. We are so sure that you will like ours the best that we offer this free sample as a service. Yes. Although we have full-time Mastering Engineers on staff here, we also provide mixing services. If you are unhappy with your mix, we can work around any budget to get your final product to industry standard quality. We usually average around $300 per song to mix if you have under 30 tracks in your song. But we work with any budget! If you would like for us to mix your project, contact us by filling out the contact form below! How do I prepare files before Mastering? How long will it take to get my songs mastered? If your project is very time-sensitive, contact us and we will make sure it is done on time. In general, we guaranatee that your project will be finished in seven business days, but often we can get it done in less than three. Business days are Monday-Friday, excluding major U.S. Holidays. If you really need it done quickly, we offer a rush service for an additional $25 per song. With Stem Mastering, it takes a bit longer, so please allow for 10 business days maximum turnaround time, but we may finish in just 3-4 days. Contact us if you have any questions on Mixing, Mastering, or our Services. We'd love to hear from you!